We are giving away a Carcamos Gourmet Caramel Apple via the An Instant On The Lips Facebook page. All you need to do is to be a fan of the page and like the post to go into the draw. You will get another entry if you share the post. You will receive yet another entry if you tweet about the competition. You will need to copy and paste the tweet URL into the comments of the Facebook post. Peanut Apple: It's a taste sensation! Try our Premium Peanut Granny Smith Apple dipped in caramel, rolled in premium crushed peanuts and drizzled in dark Belgian Delight chocolate. Net Wt. approx. 400-500g. Serves 8-10. Snickers Apple: A fresh, juicy Granny Smith apple is dipped in creamy caramel, covered in rich Snikers Bar pieces. A treat not to be missed. Net Wt. Approx. 400-500g. Serves 8-10. Cashews Apple: Fresh Granny Smith, dip by hand in creamy caramel rolled in premium cashews and smothered in velvety dark Blegian Delight chocolate. Deliciusly good. Net weight. approx 400-500g. Serves 8-10. Pecan Apple: Indulge yourself with this extra fancy Granny Smith Apple, dipped into our rich creamy caramel, rolled in premium pecans and smothered in milk Belgian Delight chocolate. Wait till you see the size of this Monster! Net Wt. Approx. 500g. Serves 8-10. Oreo Apple: We hand rolled the caramel apple in a mound of crushed oreo cookie pieces and continue the chocolate explotion by dipping the apple, in a rich perfectly tempered white Beligian Delight chocolate. Definately one of our favourate. Net Wt. approx. 400-500g. Serves 8-10. The Tim Tam Apple: A fresh Granny Smith apple is hand-dipped in our delicous, creamy caramel, then rolled in crushed Tim Tam pieces. A decadent combination with an Aussie icon. Try stopping at one. Net Wt. Approx. 400-500g. Serves 8-10. M&M Apple: So colourful yet so delicious. Premium Granny Smith apple dip by hand in our home made caramel, then coated completely with M&M pieces. A fun gift for any kid's birthday party. Net weight approx. 400-500g. Serves 8-10. Apple Pie Apple: Our #1 Apple. This elegant caramel apple is coated in our buttery home made caramel, dipped in rich white Belgian delight chocolate and rolled generously in spice-infused cinnamon sugar. Net Wt. Approx. 400-500g. Serves 8-10. Triple Chocolate Apple: One for the true chocolate lovers. This extra fancy apple is submerge in a velvety creamy caramel, dipped in dark chocolate and finished off with white and milk Belgian Delight chocolate stripes. Net Wt. approx. 400-500g. Serves 8-10. A photo journal by Vanessa Pike-Russell. 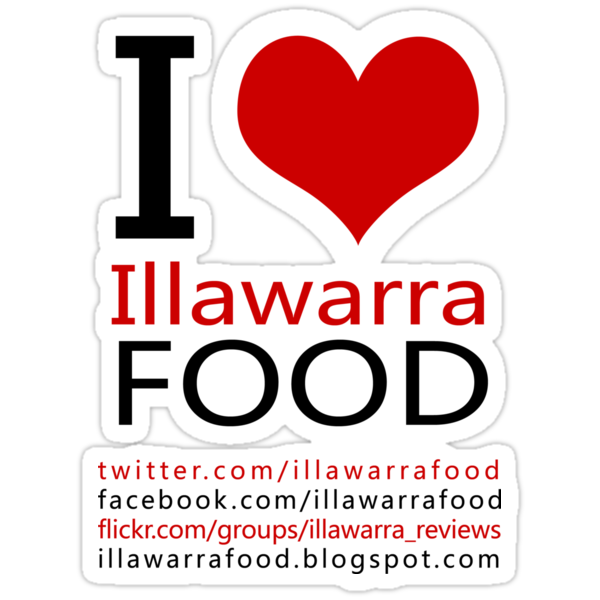 Focused on food in the Illawarra Region. The Illawarra is the area just south of Sydney and north of the South Coast of New South Wales. I believe in promoting local businesses and enjoy sharing my food journey with you.